Award Year: 1998 Dr. Brown examines contested illnesses that involve major scientific disputes and extensive public debates over environmental causes. Because medical experts often fail to identify environmental diseases, these illnesses are frequently brought to light by victims and their advocates, scientists, and the media. The project focuses on three areas of major dispute - Gulf War Syndrome, small air particles and asthma, and environmental causes of breast cancer - and looks at how each condition became a social problem. Dr. Brown explores: 1) how victims and their lay allies identified diseases and organized to seek redress; 2) the roles played by government, professions, industry, advocacy/activist groups, and the media; 3) scientific and technological progress in disease detection and etiology and the development of less toxic products and processes; and 4) the effects of illness contestation on victims' health and on public health policy. Findings should demonstrate how environmental crises might lead to greater health protections and earlier treatment of disease. Phil Brown is a professor of sociology and environmental studies. His research includes disputes over environmental causation of illness, community response to toxic waste-induced disease, race and class differences in exposure to environmental hazards, and the Jewish cultural experience in the Catskill Mountains resort area. His books include No Safe Place: Toxic Waste, Leukemia, and Community Action, Illness and the Environment (edited), Social Movements in Health (edited), and Perspectives in Medical Sociology (edited). His recent books are "Illness and the Environment: A Reader in Contested Medicine," "Catskill Culture: A Mountain Rat's Memories of the Great Jewish Resort Area," "In the Catskills: A Century of the Jewish Experience in 'The Mountains,'" and "Social Movements in Health." His latest book, "Toxic Exposures: Contested Illnesses and the Environmental Health Movement," was published in 2007. 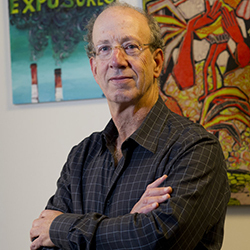 He directs the Social Science Environmental Health Research Institute at Northeastern University. Brown, P. Environmental Health as a Core Public Health Component, In The Contested Boundaries of American Public Health, eds. Colgrove, J., Markowitz, G., Rosner, D. New Brunswick: Rutgers University Press, 85-109, 2008. Katz Rothman, B. Perspectives in Medical Sociology, In Prenatal Diagnosis in Context, ed. Brown, P. Prospect Heights, IL: Waveland Press, 2008. Brown, P., Zavestoski, S., McCormick, S., Mayer, B., Morello-Frosch, R., Altman, R.G. Embodied Health Movements: New Approaches to Social Movements in Health. Sociology of Health and Illness, 2004, 26: 50-80. Zavestoski, S., Brown, P., McCormick, S., et al. Patient Activism and the Struggle for Diagnosis: Gulf War Illnesses and other Medically Unexplained Physical Symptoms in the US. Social Science and Medicine, 2004, 58(1): 161-75. McCormick, S., Brody, J., Brown, P., Polk, R. Public Involvement in Breast Cancer Research: An Analysis and Model for Future Research. International J of Health Services, 2004, 34(4): 625-46. Brown, P., Mayer, B., Zavestoski, S., Luebke, T., Mandelbaum, J., McCormick, S. The Health Politics of Asthma: Environmental Justice and Collective Illness Experience in the U.S. Social Science and Medicine, 2003, 57(3): 453-64. Mayer, B., Brown, P., Linder, M. Moving Further Upstream: From Toxics Reduction to the Precautionary Principle. Public Health Reports, 2002, 584: 574-586. Brown, P., Zavestoski, S., McCormick, S., Mandelbaum, J., Luebke, T. Print Media Coverage of Environmental Causation of Breast Cancer. Sociology of Health and Illness, 2001, 23(6): 747-775. Brown, P. (ed.). Prenatal Diagnosis in Context. Prospect Heights, IL: Waveland Press, 2008. Brown, P. Toxic Exposures: Contested Illnesses and the Environmental Health Movement. Columbia University Press, 2007.